Beth Boney Jenkins, the North Carolina Community Foundation vice president of development, visited the Lee County Community Foundation to present on best practices for communicating about funds. Boney-Jenkins' presentation focused on how board members could effectively discuss the various types of funds with interested parties in their community. 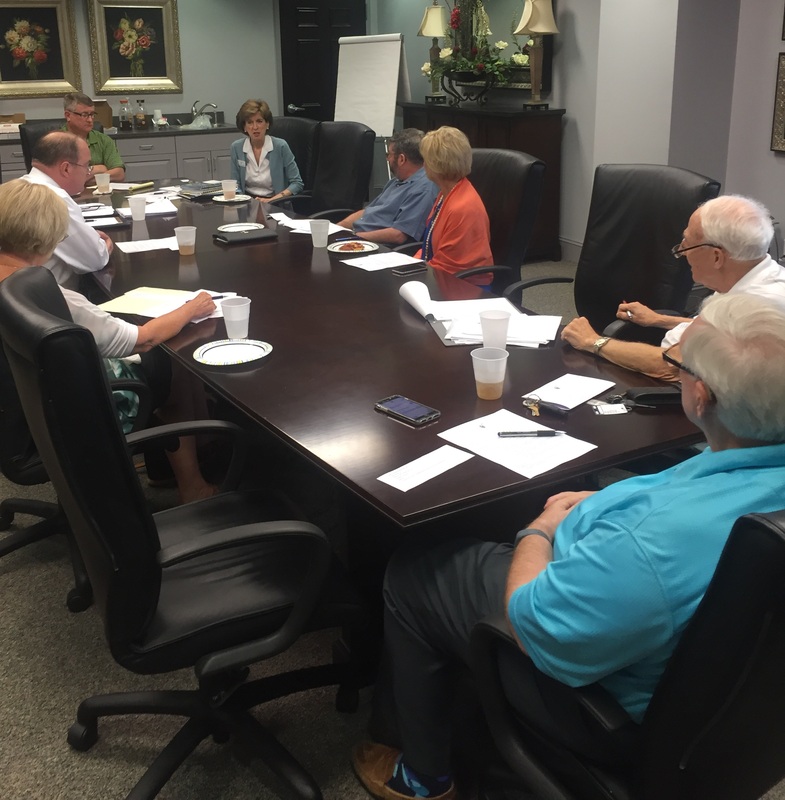 Pictured above, clockwise: Mikeal Basinger (LCCF board president), Beth Boney Jenkins (NCCF), Oscar Roberto, Sharon Spence, Larry Aiken (secretary), David Spivey, Jan Hayes and Oliver Crawley (LCFF boarf members). Not pictured: Wilson Cox, Jasmine Lucas, Bob McCall and Linda Foushee.